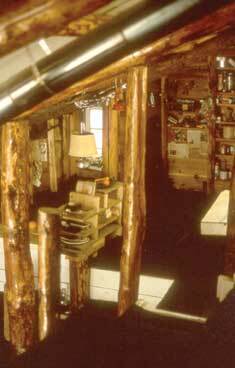 The initial structure was only 120 square feet, and even though he lived there for four years, he admits he was on the lecture circuit for three of the four winters. There's a lot to like about Oehler's houses, but I want to throw in a few caveats up front (since you won't find most of these issues mentioned until nearly the end of his book). The fact his houses won't pass code doesn't really bother me, but I am much more concerned by Oehler's update about the parts of his houses that have and haven't failed structurally over the years --- it sounds like root cellars built using his methods are problematic, as are non-full-time residences that aren't aired and warmed on a regular basis. 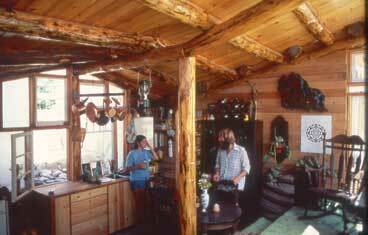 You also should be prepared to put in huge amounts of labor if you build using Oehler's methods on the cheap --- his original, 120-square-foot house took about 105 man-hours simply for the initial excavation. Finally, Oehler admits that you might need to work harder to keep water out of your underground house if you live in an area like the Pacific Northwest (or, presumably, here) with "ridiculous rain." Stay tuned for tomorrow's post where I begin to show you what sets Oehler's houses apart from mainstream underground structures. The Weekend Homesteader is finally back in stock on Amazon, just in time for you to get started on the first spring projects! Seems that there are a few other underground house books on amazon. Have you looked at any other books? Is there a 'better' book? http://www.amazon.com/s/ref=nb_sb_noss?url=search-alias%3Daps&field-keywords=Underground+House+Book thanks!